Hey guys! Today I have another Avon A Box unboxiung for you guys. This time around, it's called The Best Of Beauty* and it features both makeup and skin care products in full and sample sizes. The thing that I really like about the A Box is that there's no surprises. You know exactly what you're getting when you order one, so you can decide whether or not it's really worth it for you. Know what I mean? 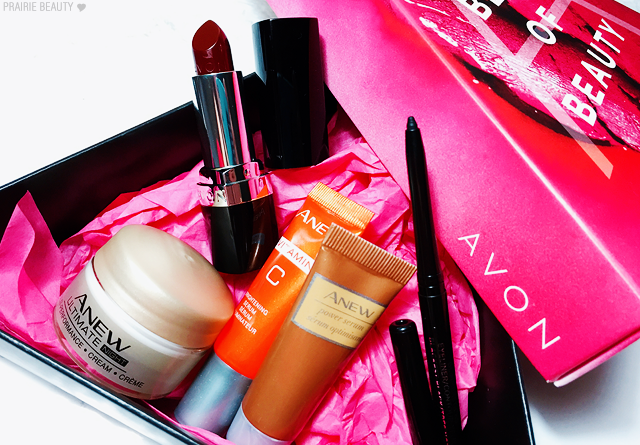 Keep reading to check out what's inside the Avon The Best Of Beauty A Box*. Avon True Color Glimmersticks Eyeliner in Blackest Black Full Size. I think this would be a great box for someone who has been interested in trying out Anew skin care products but isn't quite ready to invest in full size products. The two full size makeup items definitely don't hurt either. While I wouldn't say this is my favorite box, I think it will definitely have its customer. 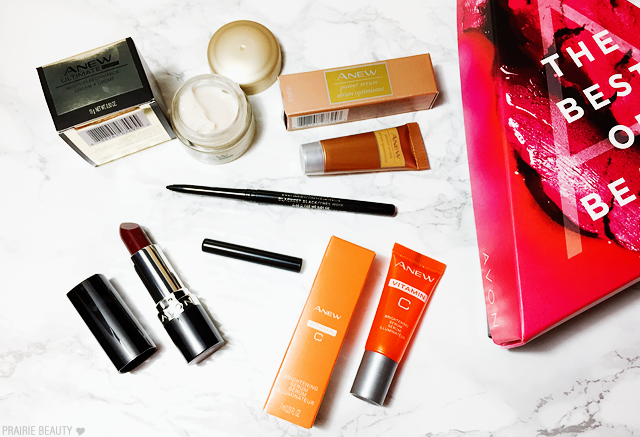 If you're unfamiliar with the Avon A Box so far, basically they are curated boxes containing 5 products that generally suit a specific theme. These boxes are available for $10 with a $40 Avon purchase. I think you might also be able to order them separately, but obviously the value lies when you can get this at a discounted price. 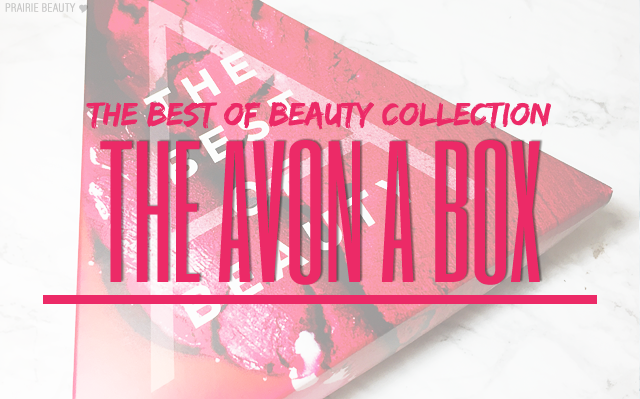 The Avon Best Of Beauty A Box* is still available now, I believe, but there are new A Boxes in each campaign. To find a local Avon Representative, check out Avon.ca or Avon.com!